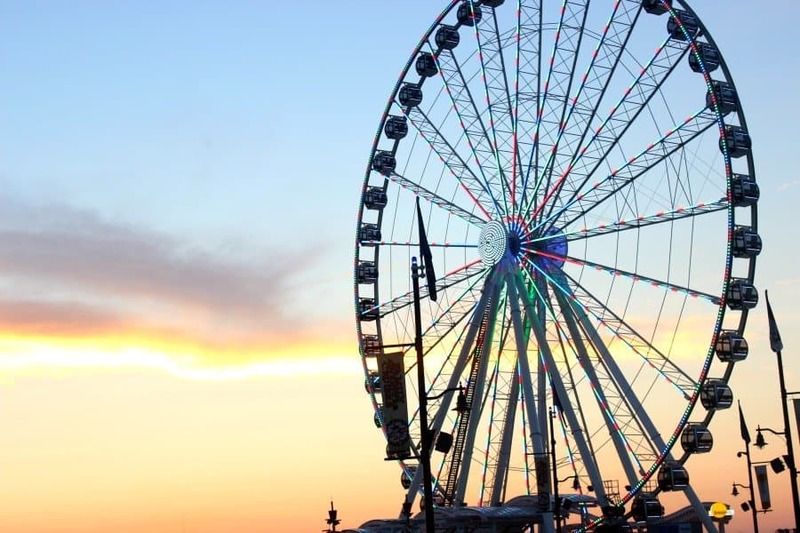 Since the National Harbor opened for business in 2008, the Gaylord National Resort has been a fixture in the Washington DC area especially during the Christmas holidays. Thanks to the Gaylord National for inviting my family and I to experience ICE and all the holiday fun yet another time this year. I guess that you can say that it’s a Christmas family tradition. 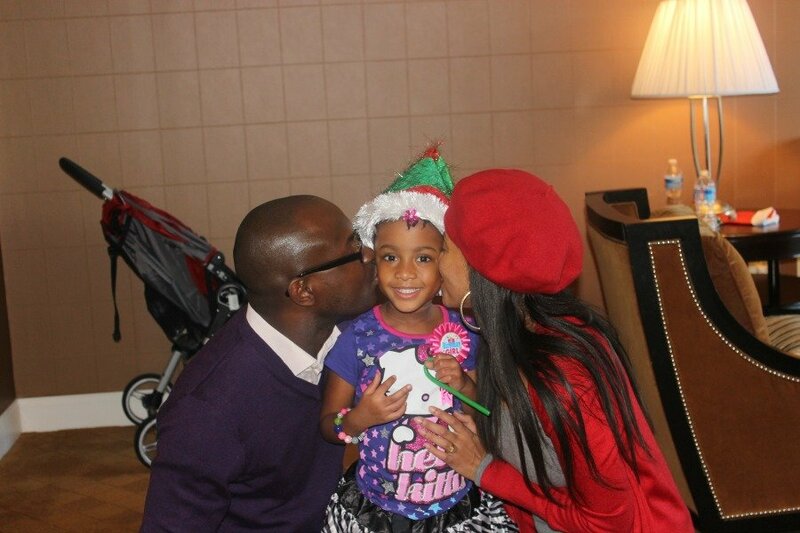 Since my daughter’s birthday is right after Christmas, we even celebrated her 4th birthday at the Gaylord National a few years ago. After that there was no turning back. One of my favorite things about spending Christmas at the Gaylord National Resort is ICE! 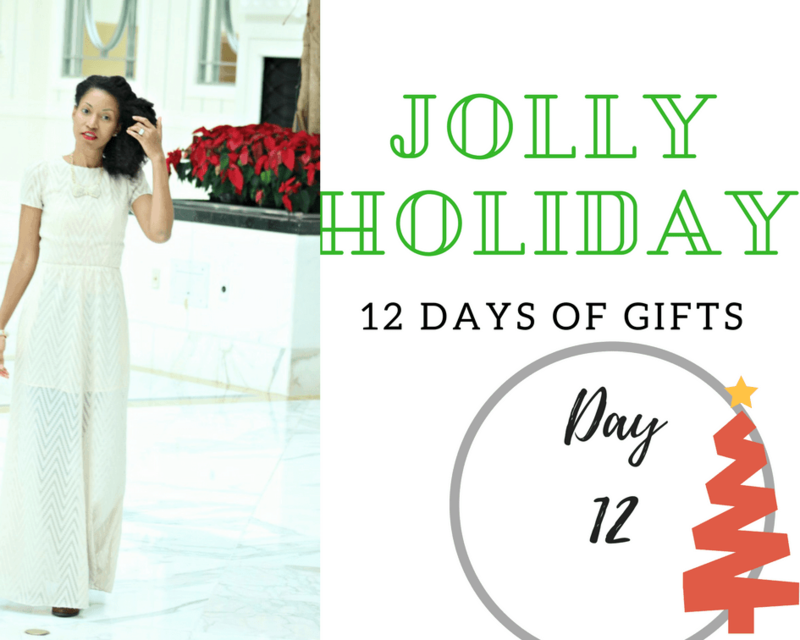 Not that there isn’t enough Christmas cheer at the hotel, especially since there is an indoor snowfall and all. 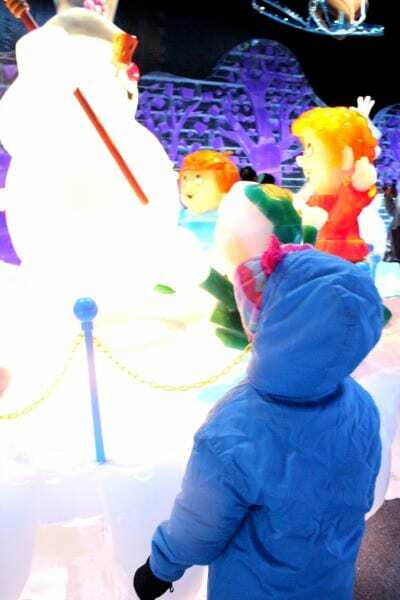 But, ICE is essentially a Winter Wonderland complete with characters, scenes and 2 million pounds of ice carved by master carvers from Northeast China. 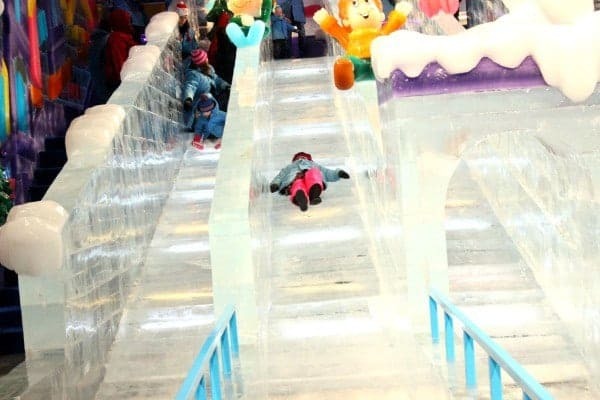 The ice makes the best slides…trust me I went down a few times. Kept at a frigid 9°F, ICE is truly a beautiful site to behold. Frosty the Snowman and his frozen North Pole friends completed the scene a few years ago. 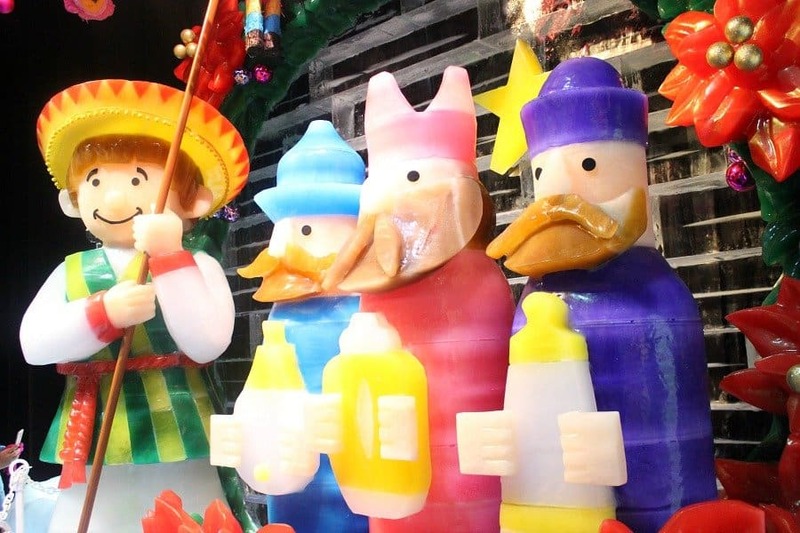 This year’s Christmas Around the World ICE theme does not disappoint. 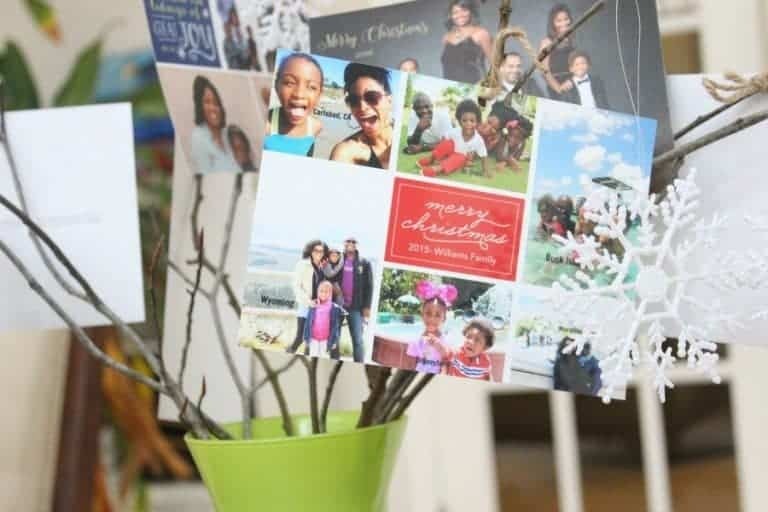 If you love to travel, celebrating Christmas Around the World will be just your style. But even if you don’t, it’s fun to look at the ice sculptures and gaze into the eyes of frozen characters in their cultural dress. ICE is truly a site to behold. 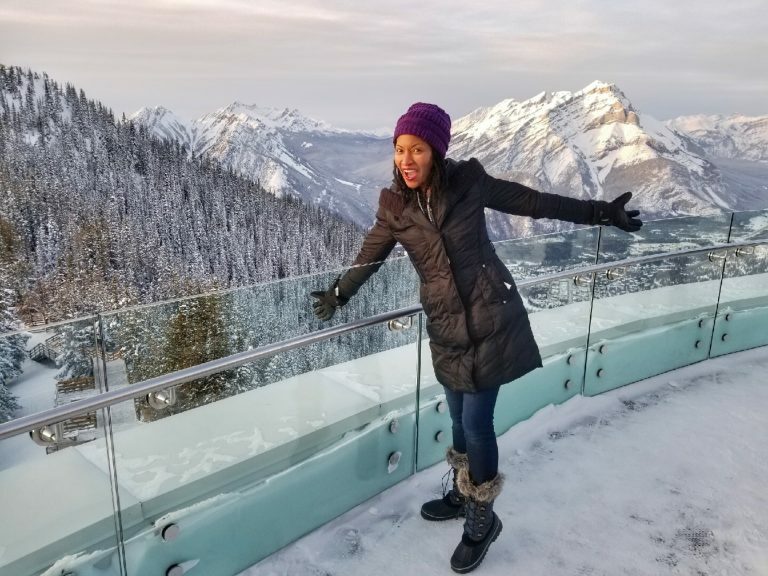 To get the very best from your visit, here are my top tips for enjoying ICE and Christmas at the Gaylord National Resort. I mean really warmly. Unless you live in Alaska, a temperature of 9 degrees can be hard to tolerate. Wear layers and comfortable shoes. As a matter of fact, I recommend wearing two pairs of gloves on your visit to ICE. One pair of insulated gloves and a pair of touchscreen gloves underneath. The ICE staff do provide “stylish” blue parkas for guests of ICE. But, the parka on it’s own is not enough to withstand the single digit temperatures. That way, when you take off your gloves to take some pictures, your fingers won’t feel like they’re falling off. Ahem, I’m speaking from experience here. So please, enjoy these pictures below. My fingers nearly fell off taking them. After you’ve gotten your dose of “ICE”, take in the sites and sounds of the Village of the North Pole. 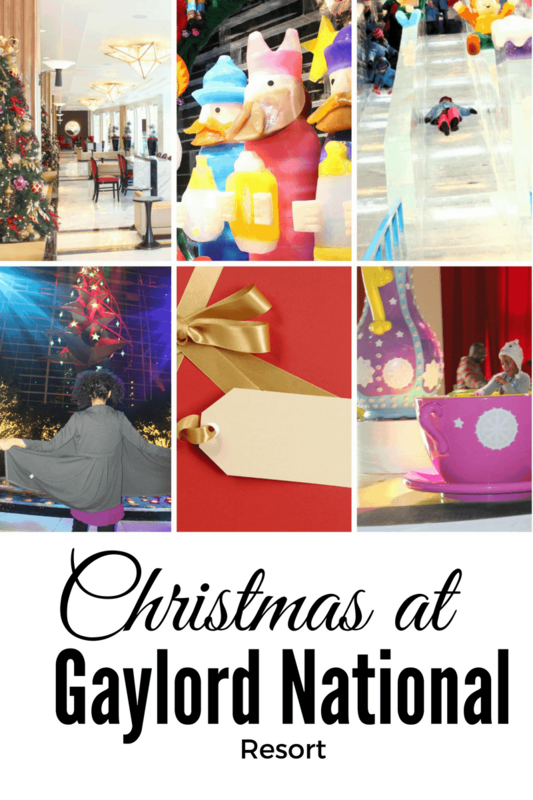 There’s a carousel, Build a Bear Workshop, tea cup rides and even hot chocolate to warm you up. 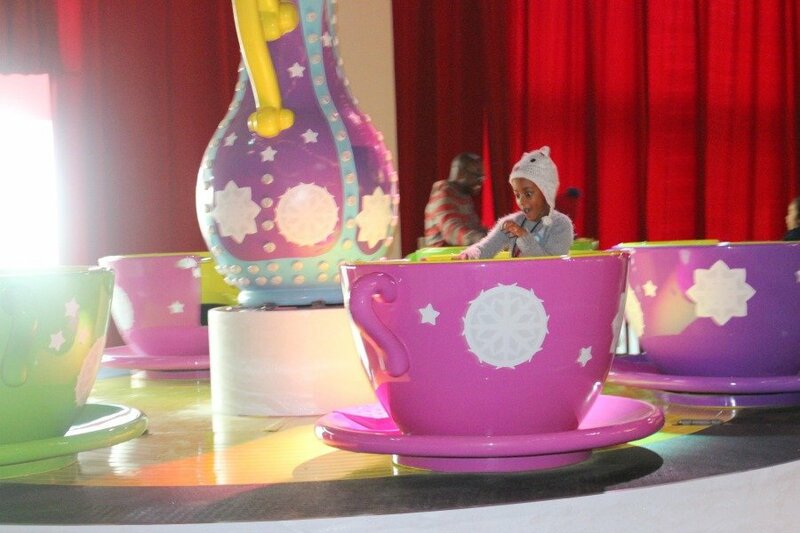 As part of the Play All Day package, kids also get access to a total of three amusement park rides, ICE and the ELF on the Shelf Scavenger Hunt which includes a cup of hot chocolate. There’s even an indoor train ride on the lower atrium level. 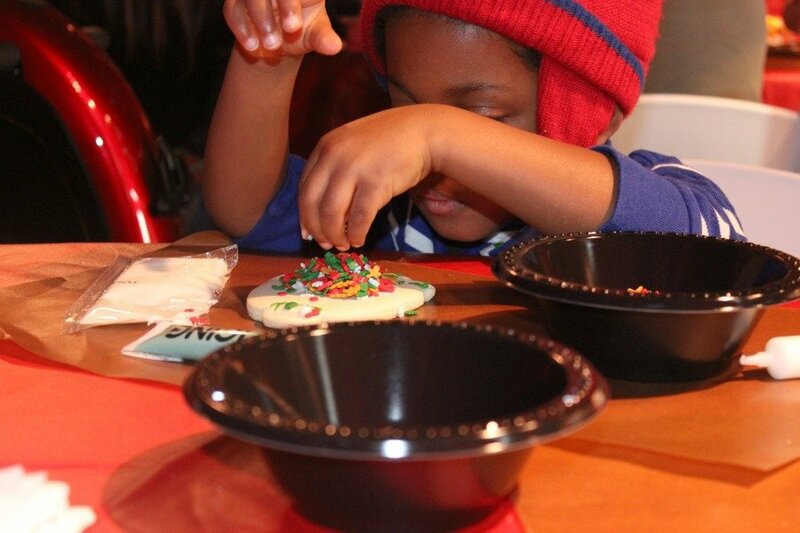 Oh and your kids will enjoy decorating gingerbread houses and ugly sweater cookies too! By the way, a cup of hot chocolate is a must after visiting ICE at the Gaylord National. Marshmallows are extra. 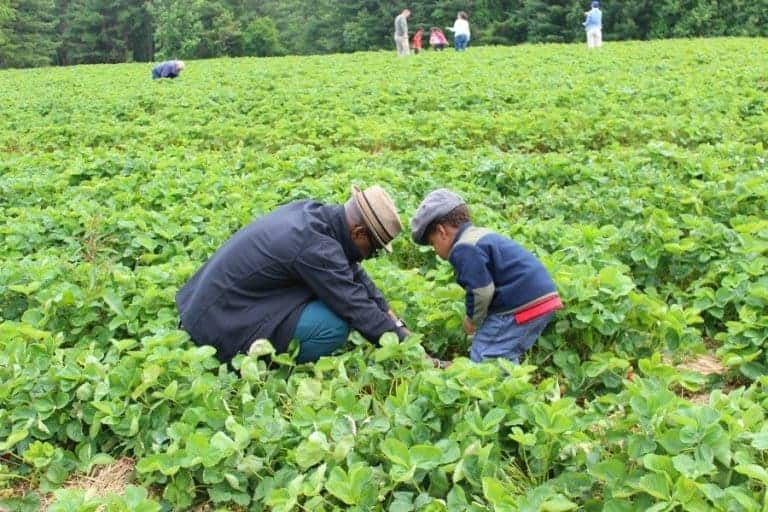 So, visit ICE first, and go to the Village of the North Pole after. 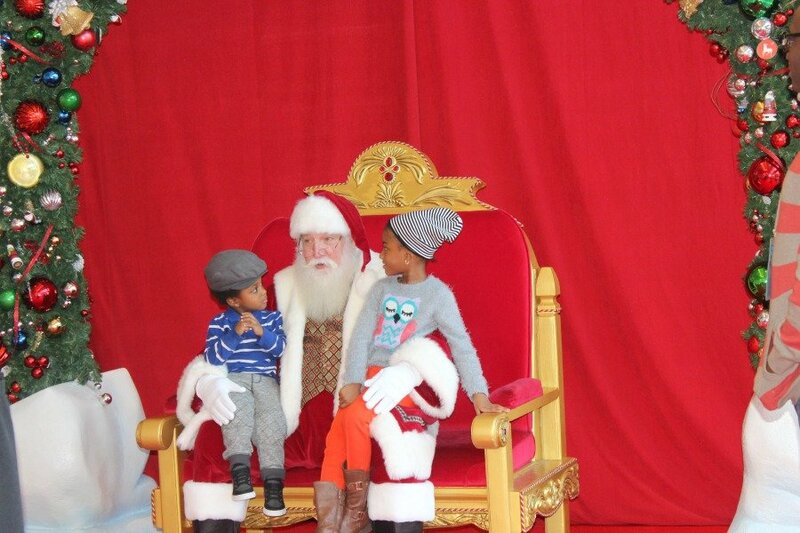 There’s even a nearby Santa so, have your wallet handy for pictures or talk to the kids ahead of time to avoid a major meltdown later. 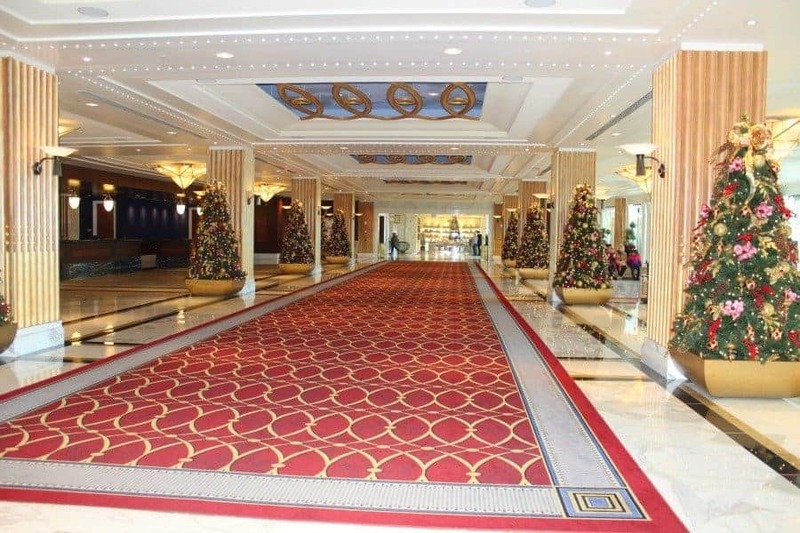 When the Gaylord National opened it’s doors just outside of Washington DC in 2009, that hotel was destined to be a part of our family Christmas traditions. 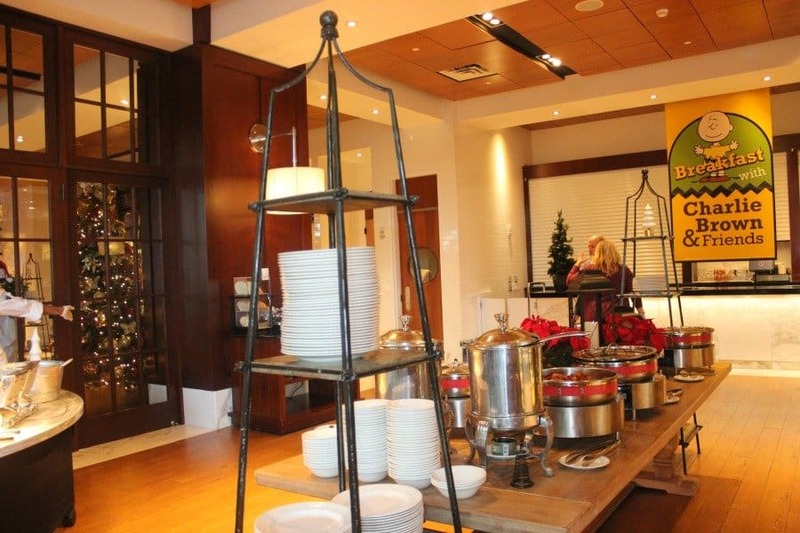 At the Pienza restaurant, the character breakfast is a good way to get some food and see furry friends all in one spot. 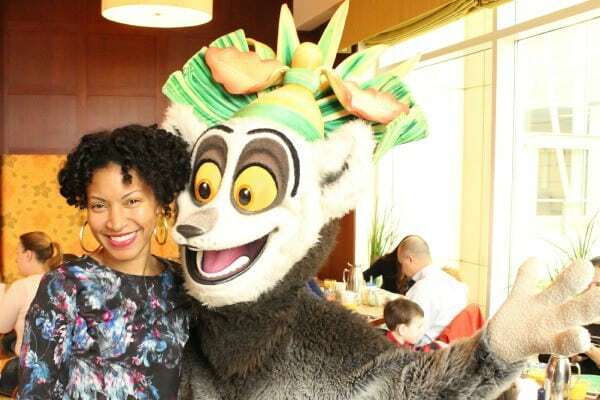 A couple of years ago, Madagascar reigned supreme. 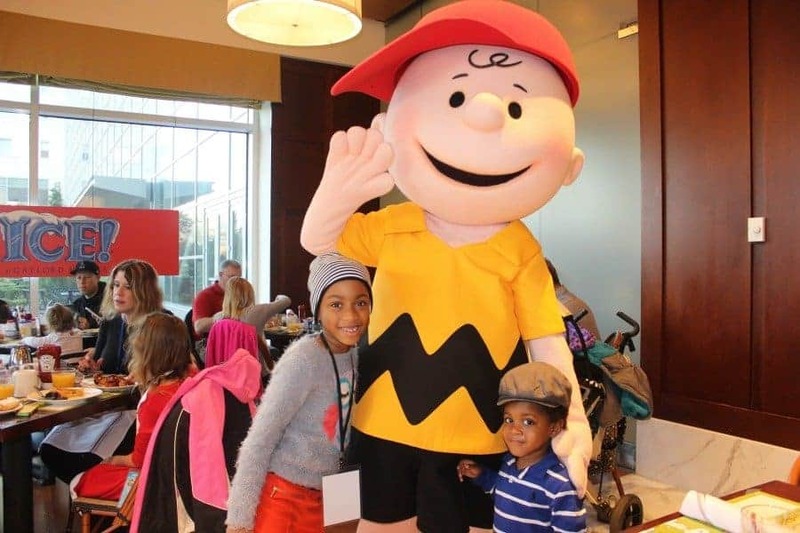 This year Charlie Brown will make you and your family feel at home at the Charlie Brown & Friends Breakfast at the Pienza Restaurant. Not too far from the Pienza restaurant is where the nightly fountain and light show takes place. Grab dinner at the National Past Time restaurant for high energy, jumbotron screens and tasty Baltimore rub wings. Sit on the Veranda of the restaurant (facing the atrium), and you can people watch and may even be able to catch the fountain show without getting wet. Although the best views of the Very Merry Atrium Show and Rock n’ Around the Starlight Tree Atrium Show are right up close and personal. 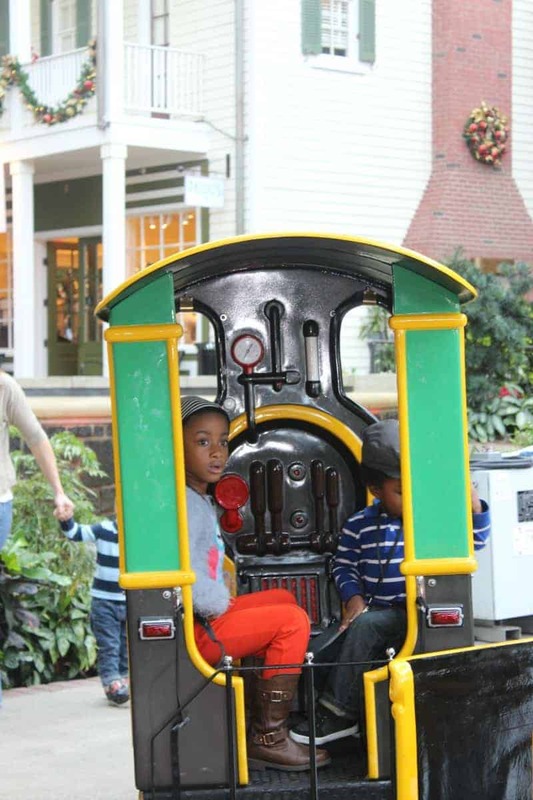 There are so many fun things for families to do at the Gaylord National during Christmas time. 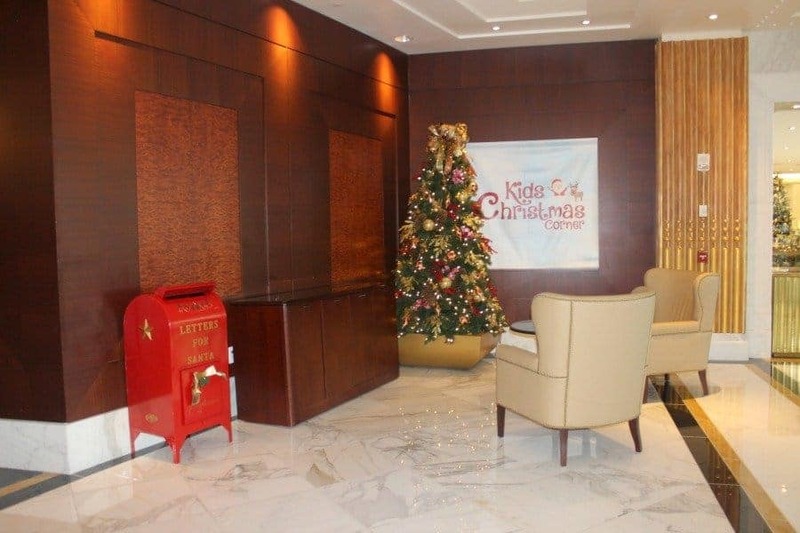 While checking-in, kids can play at the newly added Kids Christmas Corner near the front desk. 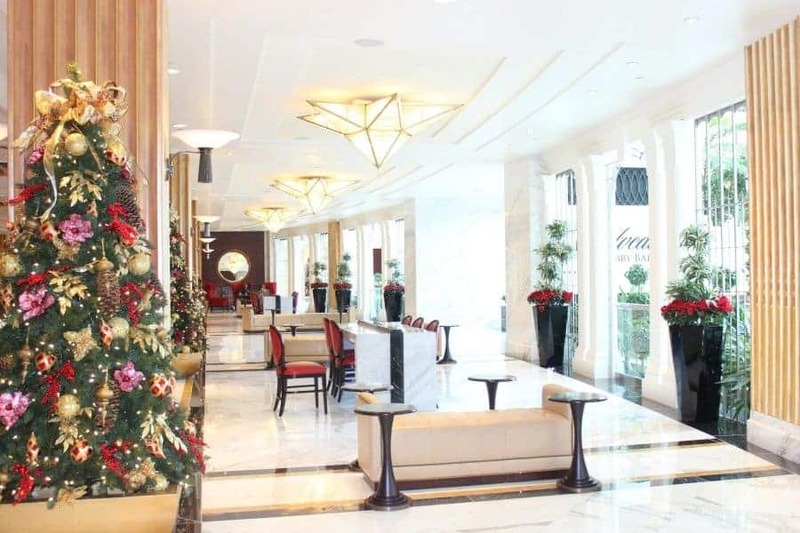 This area offers parents some refuge by playing Christmas movies during high traffic hotel hours. The Gaylord National also offers mobile check-in for hotel guests and even has an app that pin points exact locations, allows guests to make dining reservations and gives step by step directions. Obviously we decided to come back and extend our stay. Complete with these cute matching family pajamas. In getting ready for your trip, don’t leave your camera at home. 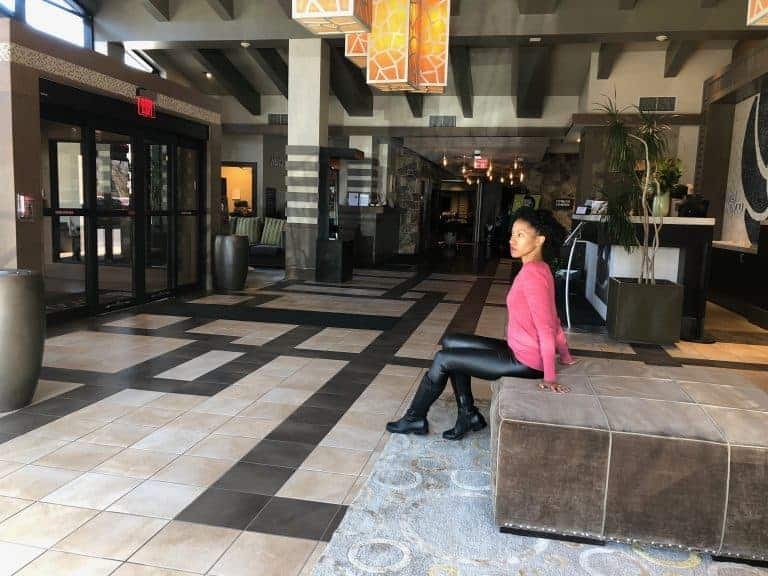 You’ll want to capture the beauty of the hotel, the wonder of ICE and all the great memories. 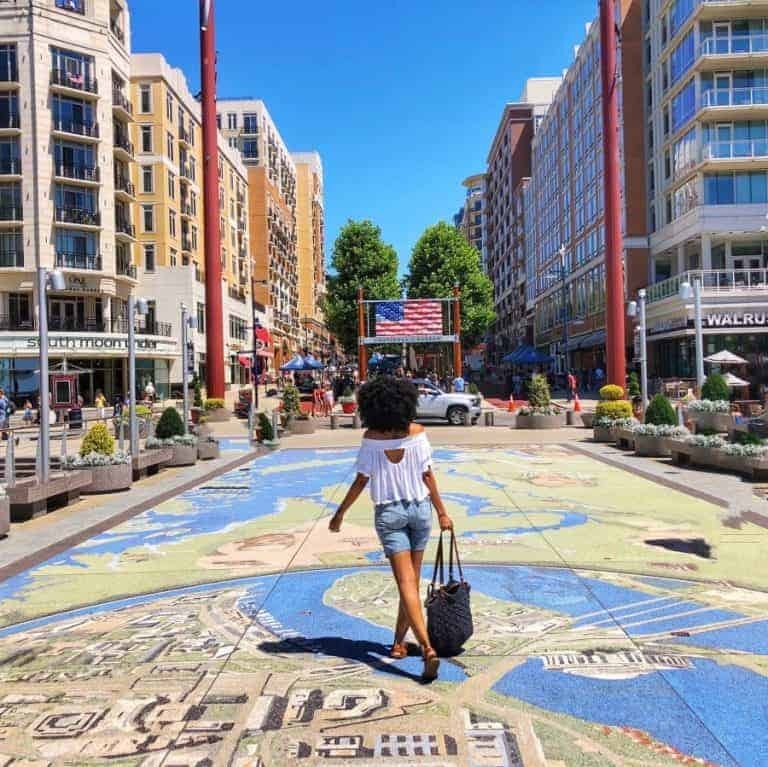 Step outside of the the Gaylord National Resort and the National Harbor is flourishing with dining, entertainment and so much more. 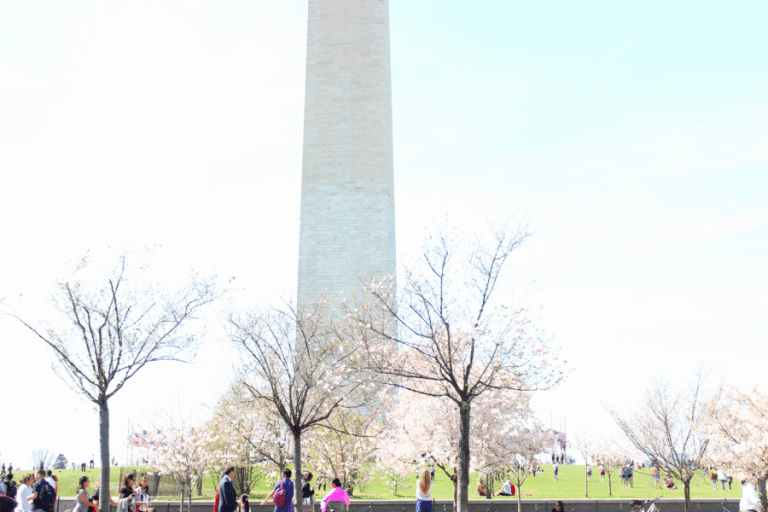 One of my family’s favorite things to do is take a spin on the Capital Wheel. The kids love to climb the 72 foot “Awakening” statue at the nearby sandpit after their time on the Ferris Wheel is over. 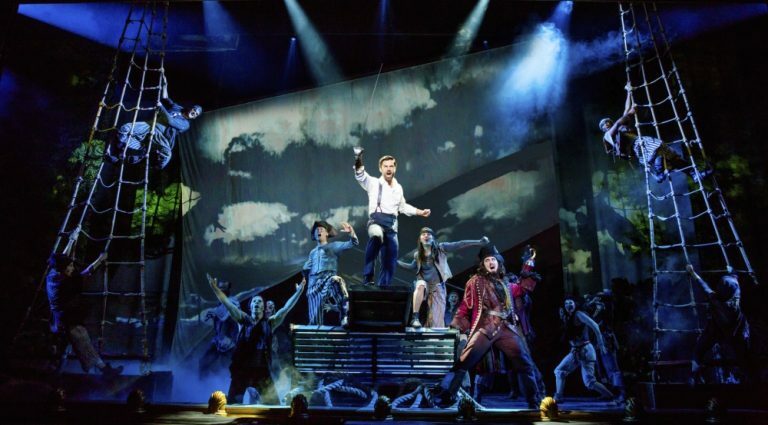 The Awakening depicts a man struggling to free himself. Apparently, the unique position of the statue acts as a magnet for young kids and adults alike. 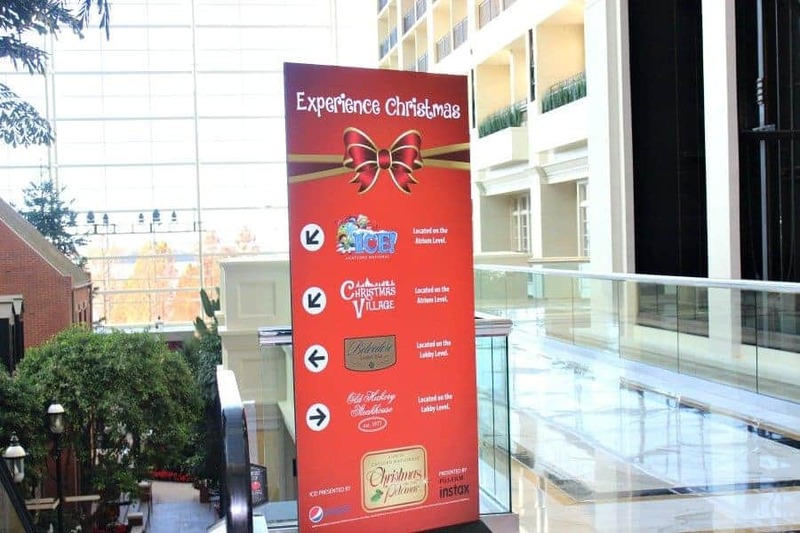 All these things make the Gaylord National a perfect place for families to spend the Christmas holidays. 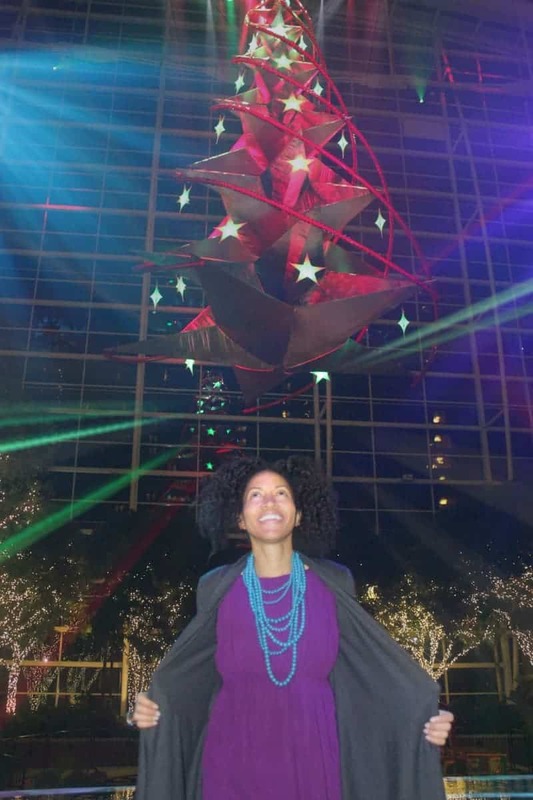 So come for the ICE, stay for the memories and have lots of fun because Christmas at the Gaylord National is a win, win win! Updated for 2017 winter season: There is now a live Christmas show that takes place at the atrium level with singing, dancing and more for a fee. The Gaylord National Hotel has also added an ice skating rink to the attractions at the Christmas village. If you’re going to take advantage of the skating rink, be sure that your kids are pretty comfortable on the ice. There were no skating support frames available for beginners as far as I could see. 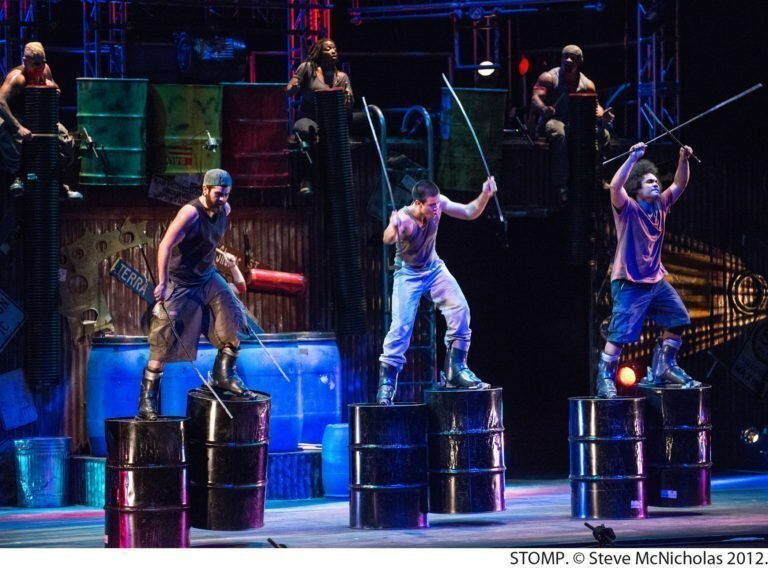 The Gaylord National is a Marriott Hotel so earn Marriott points and book your hotel here.